(Left-to-right) Armstrong Human Resource Director Beth Keegan, Field Operations Manager Sean Mangan, EMT/EMD Kari Smith, EMT Elysia Heilig, Director of Operations Mike Kass and EMT Jean Witty. 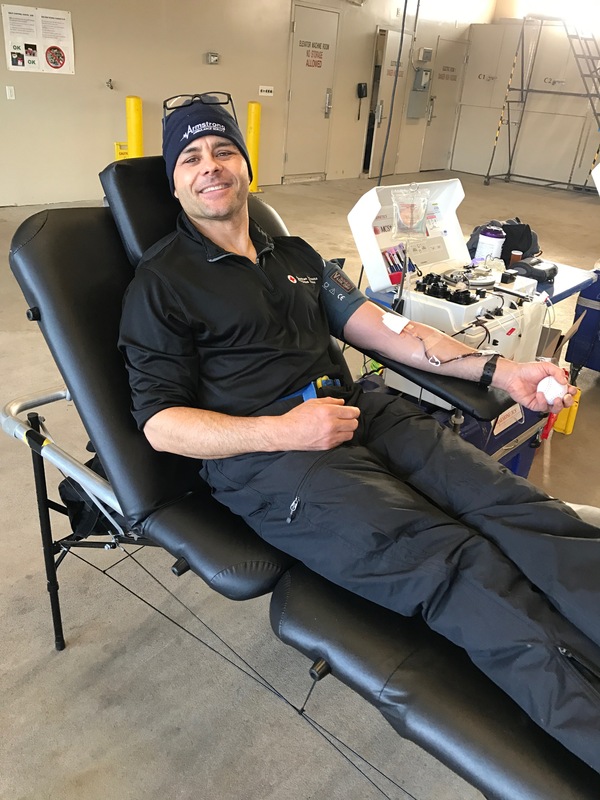 On behalf of Armstrong Ambulance, we would like to extend a sincere thank you to all the donors who rolled up their sleeves and supported our blood drive on February 14th. 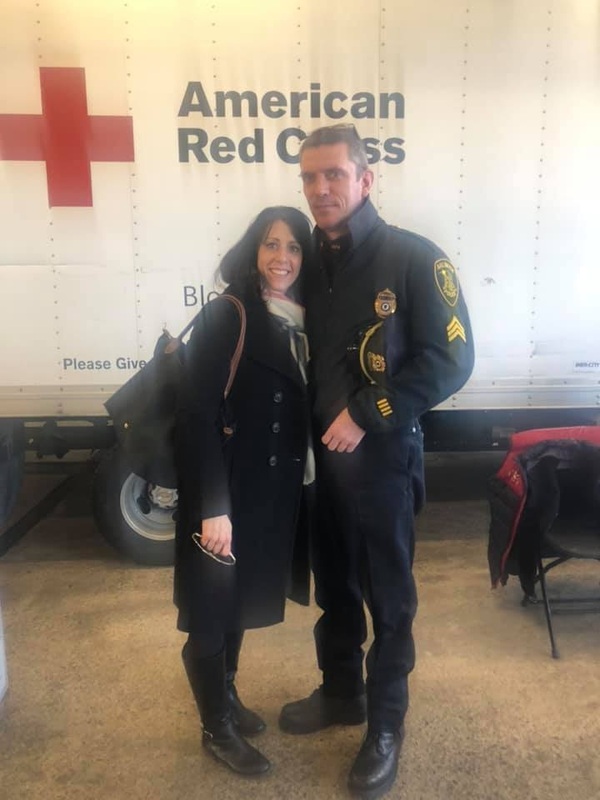 As we know, February 14th is a day all about love but it’s also a day about giving and thanks to our generous community members, amazing employees and other First Responders, we were able to donate 35 units to The American Red Cross. 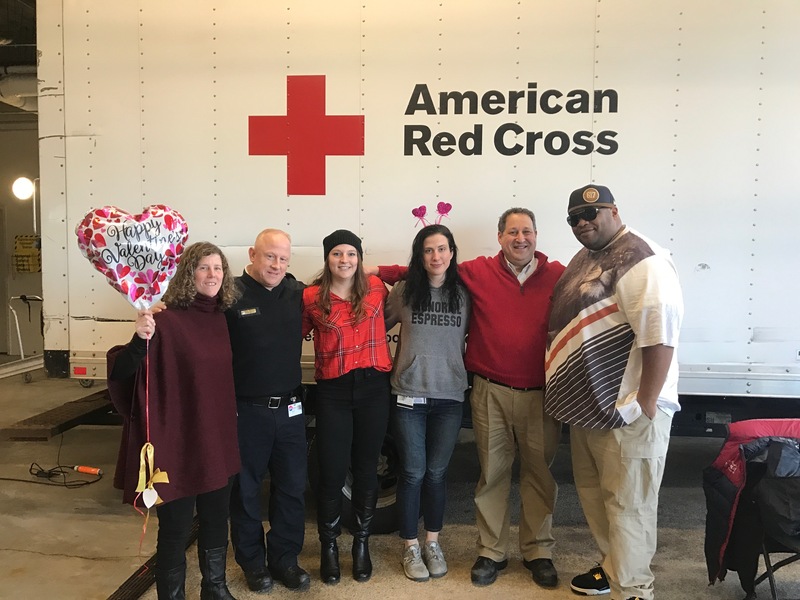 We also extend a huge thank you to Ed Kelly, Bob Gardner and our very own Armstrong EMT and American Red Cross Volunteer Blood Ambassador, Elysia Heilig who combined efforts to make this important event possible. We really appreciate everyone taking time out of their Valentine’s Day plans to share a life-saving gift straight from the heart. Most of all your donation will give life and hope to blood recipients and their loved ones. Once again, we thank you all for your time and compassion and showing how important it is to care for real hearts on Valentine’s Day/National Donor Day! 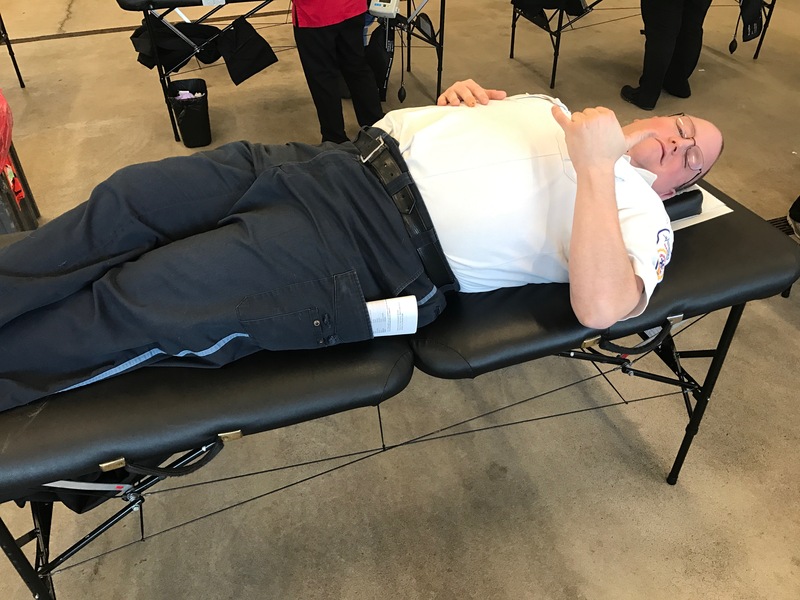 Our partners at Arlington Police Department showing their support and donating at the drive. 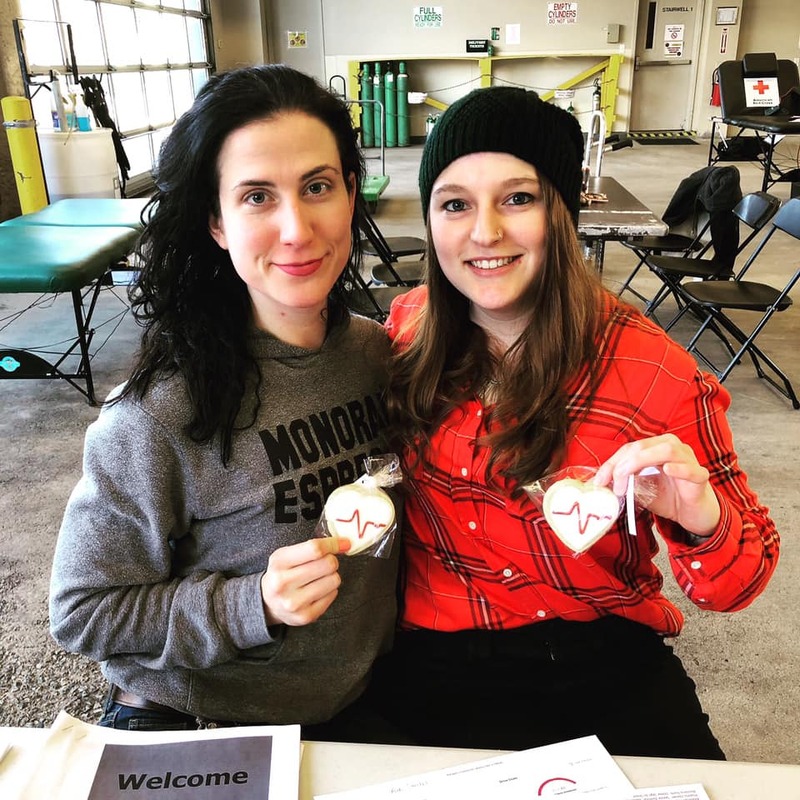 American Red Cross Blood Ambassador and Armstrong EMT, Elysia Heilig and Armstrong EMT/EMD Kari Smith with their Armstrong straight from the heart pulse cookies. Armstrong EMT Rob Augart’s Power Red donation. Armstrong Paramedic and Field Training Officer, Nick Henderson donating. Congratulations to Armstrong’s Director of Clinical Integration, Ben Podsiadlo for being published on EMS1’s website. 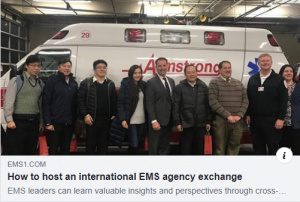 Ben wrote an article explaining how to reach out, prepare, welcome and host an international EMS agency exchange after Armstrong hosted members of the New Tapai Fire Department this past December. 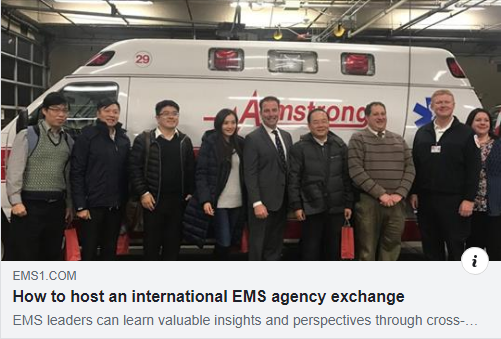 The article aims to encourage and give assistance to other EMS leaders on how to develop exchange relationships with emergency professionals from around the world, benefiting both agencies and offering new alternatives to face EMS system challenges. Below is the link to the full article on EMS1.